New Delhi, November 29, 2018: It has been a general trend in the Hero I-League for foreign recruits to do most of the goal scoring. 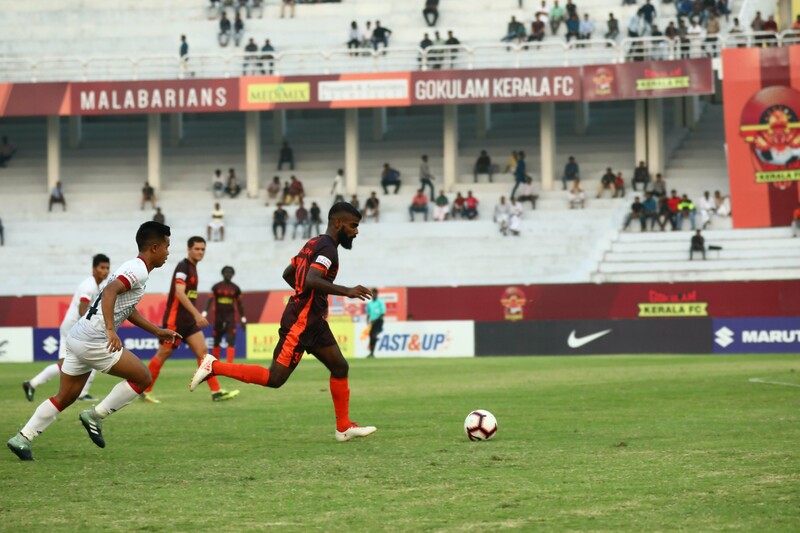 Even as debates rage as to whether an Indian striker can ever break to the top, the 25-year old S Rajesh from Gokulam FC has been on the job silently catching the rivals unaware, much like his family members often celebrate a rich catch in the mid sea. Rajesh is currently joint 2nd in the list of Indian goal scorers and the fisherman’s son aims to finish with minimum 8 goals, as many as last season’s Hero Golden Boot runner Dudu Omagbemi. It’s been quite a fairy tale for Rajesh who is on his debut season in the Hero I-League. “Last year, I played for Karnataka in the Santosh Trophy and in local leagues in Bengaluru. To be honest, I was just another struggling footballer,” he informs. “The tide seemed to have turned after I scored 4 goals during Karnataka’s South Zone Qualifiers. That’s when people noticed me. I had other offers too. But I preferred to join Gokulam FC,” he states. “My father is a fisherman and it was not easy for him to support me in the early days. He had three more sons to raise, but he always found a way to fund my trips to different tournaments,” said Rajesh. Hailing from a fishermen community in the village of Pozhiyoor, Rajesh was exposed to the beautiful game from an early age. He even went on to state that Pozhiyoor is often called “Mini Brazil” for the affinity that the locals have towards football. Sevens football is a hugely popular version of the game in Kerala, and much like other top stars from the state – like Anas Edathodika or Ashique Kuruniyan – Rajesh has also come through the ranks of local football. While playing sevens football, followed by local leagues in Bengaluru and national tournaments like Santosh Trophy, Rajesh has had to make largescale changes to his game after joining Gokulam. Head coach Bino George is well known in the Indian football circuit for setting up his sides in a manner that allows them to play a possession-based game that is entertaining to the fans. “Before, we just used to play long balls to the strikers. But after joining Bino Sir’s team, I am starting to learn how to play in a system where the team keeps the ball on the ground and passes it around,” he said. “It’s not easy playing this style after playing long balls all your life, but I think I am doing well under this system. I am scoring goals, and that is very important for a striker,” continued Rajesh.